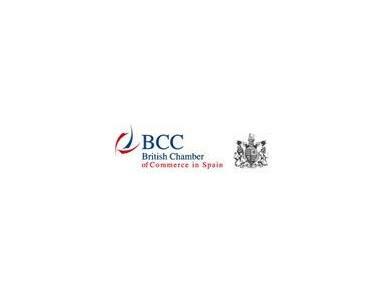 Founded in Barcelona in 1908, the British Chamber of Commerce in Spain is a not for profit making membership organisation whose aim is to provide business opportunities for its members. At the British Chamber of Commerce we acknowledge that one of the most important things in the business world today is contacts. With over 60 events organised each year throughout Spain and Europe the Chamber provides its members with an excellent platform to build business relationships, gain visibility and share information, ideas and experiences with like-minded people. We also facilitate access to influential decision makers and key governmental figures who can offer advice and contacts to broaden your prospects. These business opportunities are provided through a number of processes ranging from our referral service to partnership brokering, events and publicity through press and other media articles involving the Chamber. We offer a number of different membership categories to cater for the needs of a large client base ranging from individuals to multinationals. Our aim is to provide the best possible opportunities to network and establish business contacts for our new members in order to connect them to the commercial markets, not only in the UK but also throughout Spain.